Going into surgery is serious stuff. Life and Death. 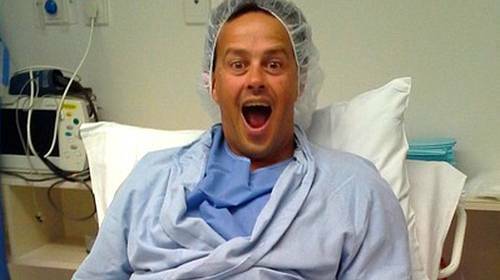 What happens when surgery becomes a funny place? Well, funny for who? Funny surgeon one-liners. Funny things you definitely do not want to hear in surgery if you are the patient lying on the operating table! Hand me that . . . uh . . . that uh . . . thingie. Rats, there goes the lights again . 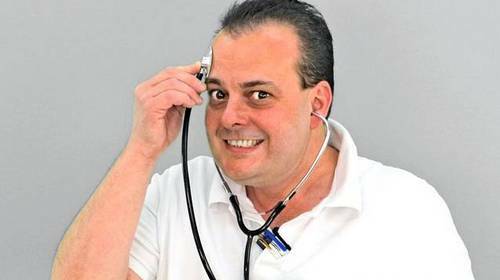 . . Nurse! This is surgery. I hate it when there's stuff missing. This surgery proves that aliens have taken over our bodies. Tilt that TV this way nurse. I can't see the game. Everybody stand back!!! I lost my contact lens! Could you stop that thing from beating? It's throwing my concentration off. What's this doing here in the surgery? That's cool ! Now can you make his leg twitch? Sterile, Schmeril. The floor's clean, right? Anyone seen where I left that scalpel? Rats ! Page 47 of the manual is missing ! She's gonna blow ! Everyone take cover !!! FIRE ! FIRE ! Everyone get out !!! Five surgeons are discussing who makes the best patients to operate on. The first surgeon says, "I like to see accountants on my operating table, because when you open them up, everything inside is numbered." The third surgeon says, "No, I really think file clerks are the best; everything inside them is in alphabetical order." But the fifth surgeon shut them all up when he observed: "You're all wrong. Politicians are the easiest to operate on. There's no guts, no heart, and no spine, and the head and tail are interchangeable."